The holiday season has always been a magical time for me. From the sparkle of twinkling lights to the sweet smell of baked goods in the kitchen, this has always been my favorite part of the year. This year, I will be hosting our family’s Christmas party. 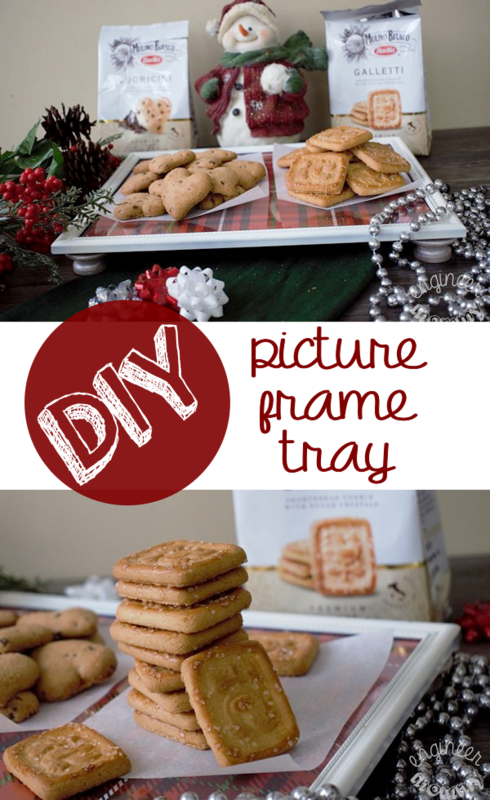 During the festivities, I will be serving my favorite Mulino Bianco Cookies on this super simple tray I made from an old picture frame. And you can turn a picture frame into a tray, too- keep reading for all the details! For me, crafting has always been part of my life. Back as a kid, I remember my mom making various crafts throughout the year, but it was taken up a notch during the holiday season! During November & December, she would take out the glue gun and make all sorts of fun decorations & gifts. As they say, the apple doesn’t fall far from the tree. There’s something magical about this season that just inspires creativity! And when the DIY project is for a dessert tray (like today’s project)… well, it doesn’t get any better than that, am I right? Not only is today’s project quick & easy, it’s also super practical- use it as a tray to serve cookies during a party and throughout the year. If you ask me, no holiday party is complete without a great dessert table! Let’s face it… sweets possess a great power! They can make any ol’ moment feel more special. Plus, delicious desserts are a surefire way to take a celebration to the next level. 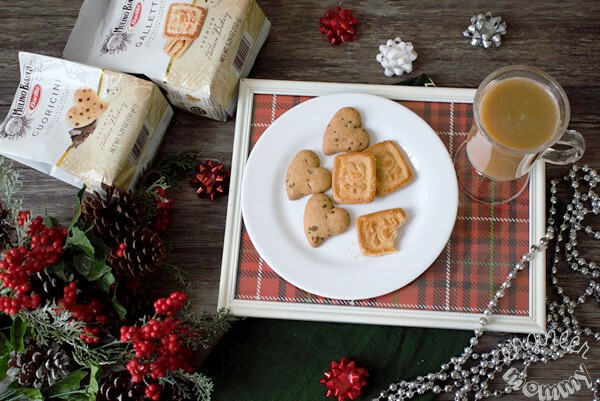 With Mulino Bianco cookies, the proof is in the taste! 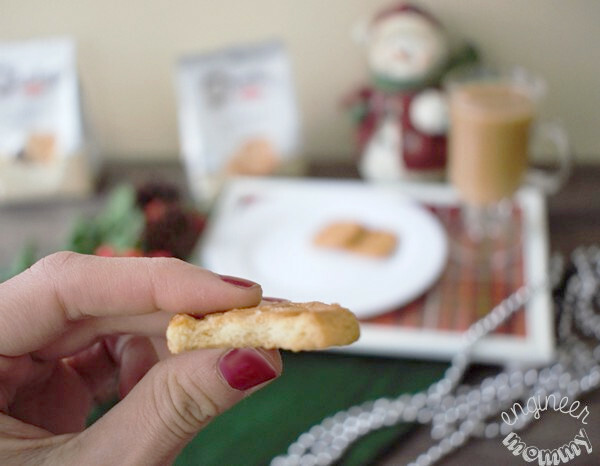 Italians have been enjoying these cookies since 1877 and we have added these delicious, buttery cookies to our home, too! 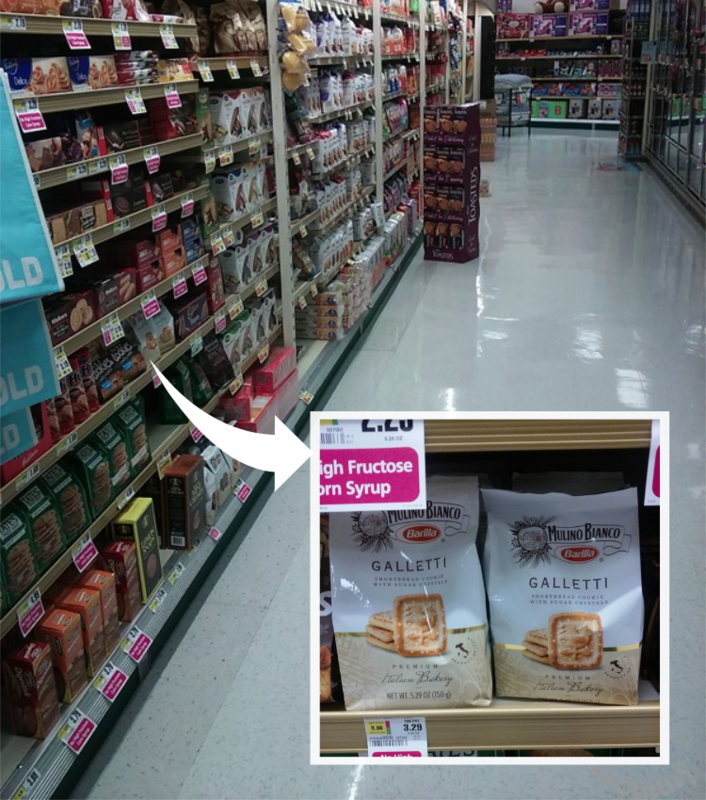 During one of my weekly trips to ShopRite, I picked up two varieties of Mulino Bianco Cookies: Galletti and Cuoricini. I love that Mulino Bianco has been satisfying the sweet tooth of people for over a hundred years! Talk about longevity! Did you know that the makers of Mulino Bianco only use milk & cream produced in Italy and only use eggs from free-range hens? They also ensure the highest quality in the wheat, sugar and vegetable oil that go into their products. I love that they take such pride in the composition of their baked goods! 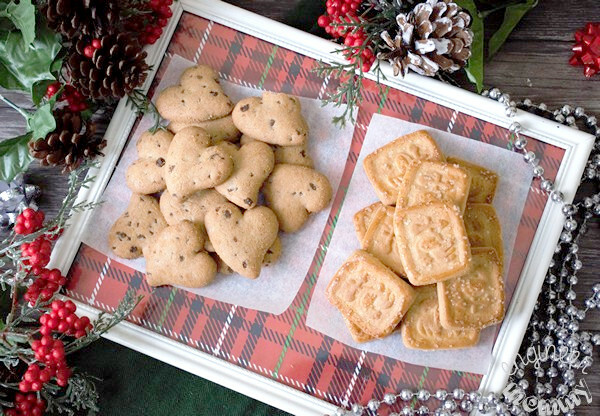 The Galletti features delicious biscuits topped with sugar crystals, while the Cuoricini features chocolate chips in a heart-shaped biscuit. Both are incredibly delicious. I can’t wait to share with you more about what makes these cookies extra special, but let’s first take a look at the tray I made. 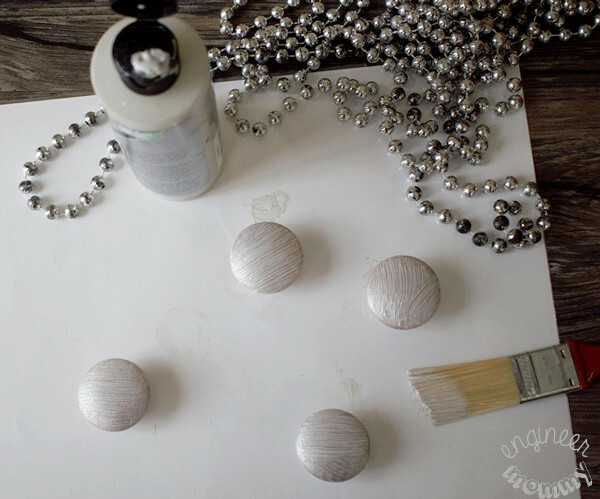 First, I painted the knobs with silver acrylic paint. The knobs will serve as the feet of the tray. Alternatively, you could paint the knobs any color of your choice. 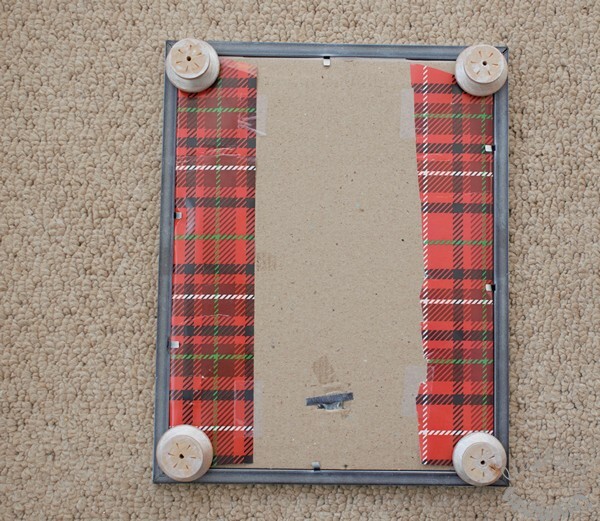 Remove the picture inside the frame and use that as a template to cut your scrapbook paper/wrapping paper to size. Insert into frame. Using hot glue & the glue gun, adhere the little knobs to the bottom of the frame in the four corners. That’s it! Was that not a quick & simple DIY? The frame is ready for to be used as a cute tray during the holiday season. 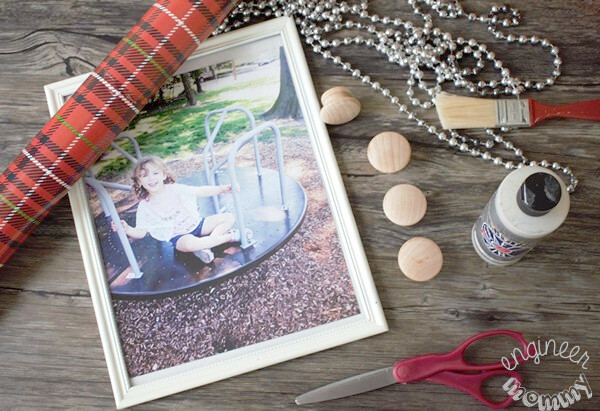 Bonus Step: You could also add handles directly to the frame with hot glue to add an extra decorative touch. 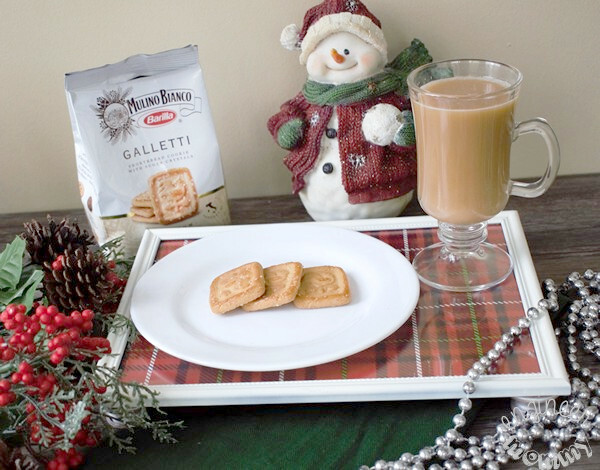 I will be using this tray throughout the holiday season to hold my favorite Mulino Bianco cookies and a homemade latte. By the way, Mulino Bianco cookies are super tasty with coffee or milk! 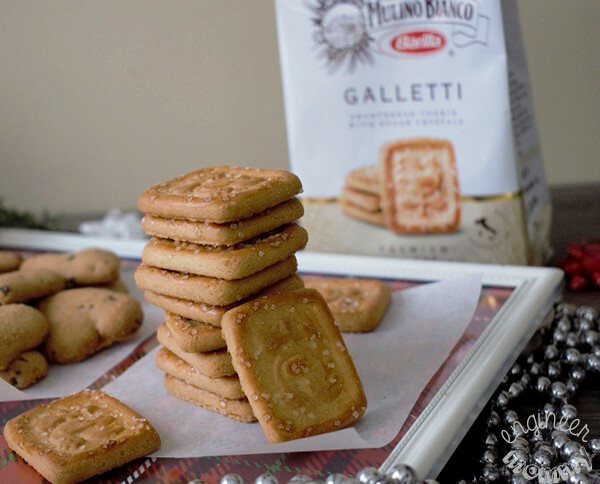 Did you know that Mulino Bianco is Italy’s #1 brand of cookies? After tasting them, I can see why! 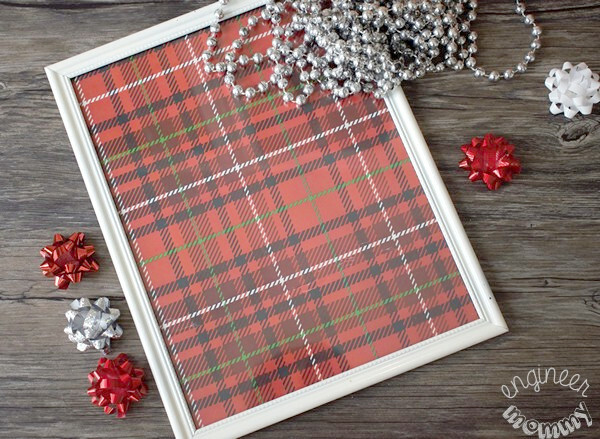 I chose a red plaid patterned paper for my DIY Tray, which is perfect for the holidays but it’s also an evergreen choice that can be used throughout the rest of the year. On Christmas Day, I will be using this tray on our family’s dessert table. I will place a stack of Mulino Bianco cookies on a small piece of parchment paper. 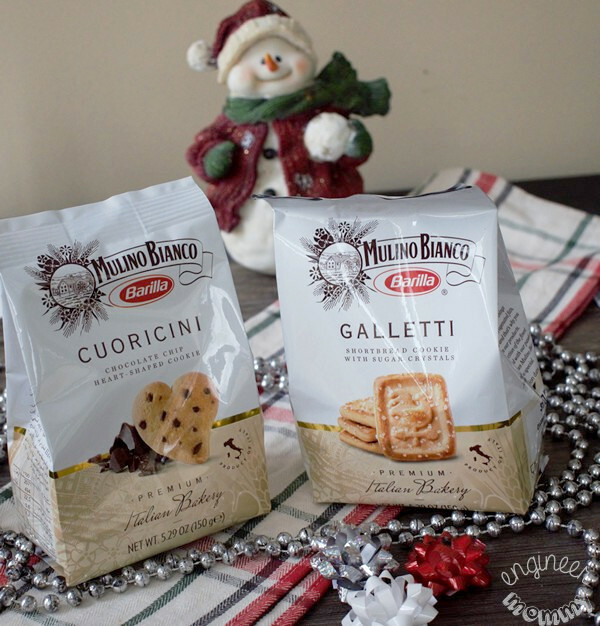 This holiday season, purchase Mulino Bianco cookies and you can enjoy sweet moments with these Italian favorites too! The buttery, flaky texture of these cookies is truly awesome! Each bite is full of flavor. By the way, these cookies are so festive and would make a fabulous gift for teachers, neighbors, friends and more. While I tried just two varieties so far, there are many more Mulino Bianco flavors available at the store: Ringo, Baiocchi, Girotondi and more. Try one (or two or three) varieties and take your holiday gathering up a notch this year! Look for Mulino Bianco Cookies at your local ShopRite store. Oh, and before you head to the store, be sure to use this coupon here to save $0.75 off any ONE (1) Mulino Bianco item at ShopRite. Now I’d love to hear from you. 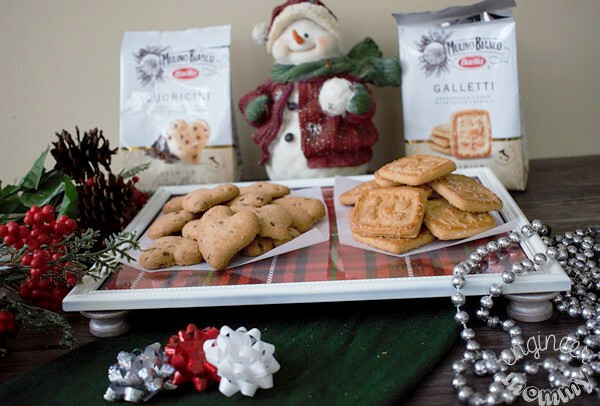 Have you ever tried the delicious flavor of Mulino Bianco cookies? Have you ever re-purposed a picture frame? Will you be hosting any holiday parties this year? Oh wow, I LOVE this idea. I totally want to make one before I have a ton of people over on Christmas Dinner!! I love shortbread cookies, I haven’t tried these but they sound yummy. The tray is a neat idea that would make a nice gift. I’ve been thinking about making my own DIY picture frame and have been looking at them on Pinterest. I do believe I love yours the best and I’ll be making it soon. It’s so pretty and I love plaid! I just love this idea! I must try this out. Plus those cookies look amazing. I don’t think I’ve ever tried this before. What a great idea for a personalized tray. 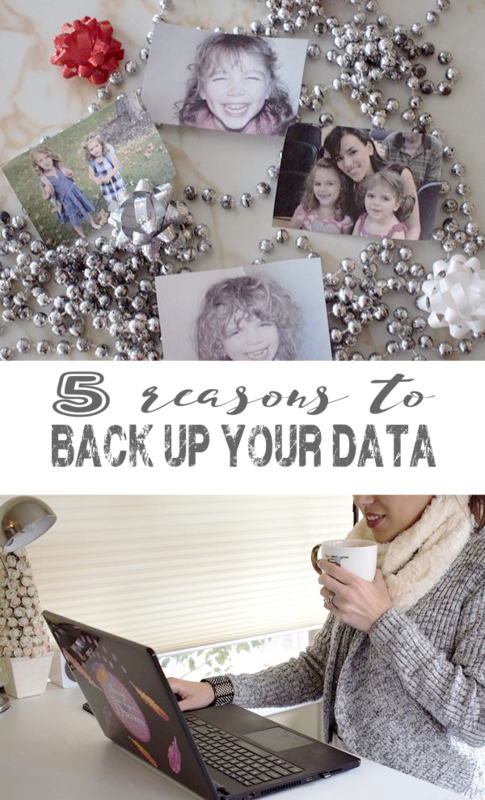 I love that you could easily make one for every holiday or season. I still have a picture frame tray I made several years ago. It was easy to make and has been used over and over. This is such a great idea! It would be wonderful to give to a friend or family member with a bunch of cookies. This is such a cute idea! AND its relatively inexpensive which means its the perfect DIY project. There’s so many different things you can do with this as well. Thanks for sharing this. Using the knobs was really clever! I like this idea and it would be fun to choose the perfect background paper for it! I am definitely going to make one of these this weekend. It will be perfect for the holidays. I will have to pick up the supplies I will need. Oh my gosh how awesome! I love the creativity that this has, it’s different I’ve never thought of doing this! This would be a great gift for teachers. We always try to make handmade gifts for our kids’ favorite teachers. I have used picture frames to create design collages. What a gorgeous and clever way to use a picture frame! I absolutely love the background you chose for the tray. It is always such a pleasure to create something with your hands however simple it may be. The picture frame tray is a nice innovative article with stunning results, will make one myself. That is a really nice idea. This is a good gift for kids to give to mom! Wow. This is a really cool idea for a serving tray. I didn’t know you could re-purpose an old picture frame and give it a new life like that! Ohh this is so cool. I never thought of a picture frame being a tray. You are so bright and creative! You gave me an idea about this! So nice! HOW adorable! LOVE this plaid tray. AND I love me some shortbread, so I’ve gotta try these! Oh my, these looks so yummy, that after 8p.m., you are making me hungry. This is so creative and fun! My kids would love this project! Thank you for sharing this fabulous DIY idea!